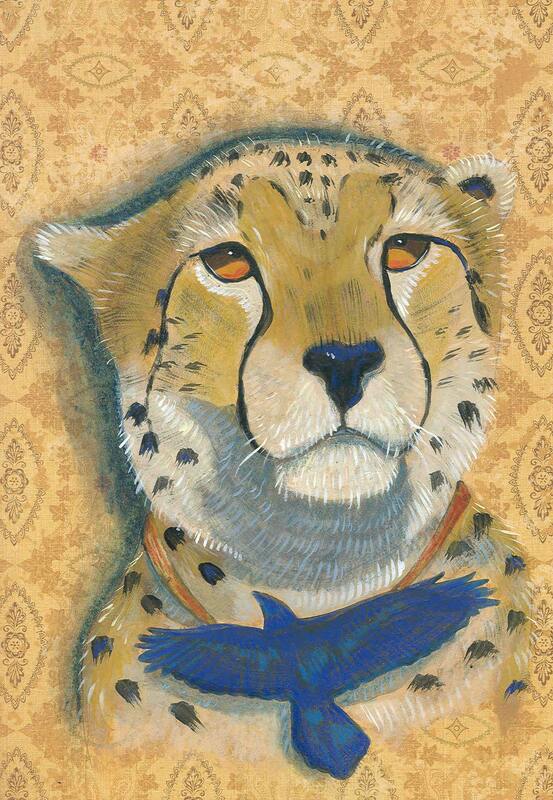 This regal cheetah proudly wears his raven talisman pendant. Cats and ravens are two sacred animals on my totem. Each card measures approx. 4x5" and comes with a matching envelope in a cello sleeve. The cards are left blank for your own message. Wonderful card. Thanks for the fast shipping in the super-sturdy envelope!